Yesterday marked the end of one of the most important technology and business events of the year – the SXSW Interactive sessions. Attendees witnessed both familiar and new trends-in-the-making, including wearable gadgets, data security, online communications, and social media innovations. 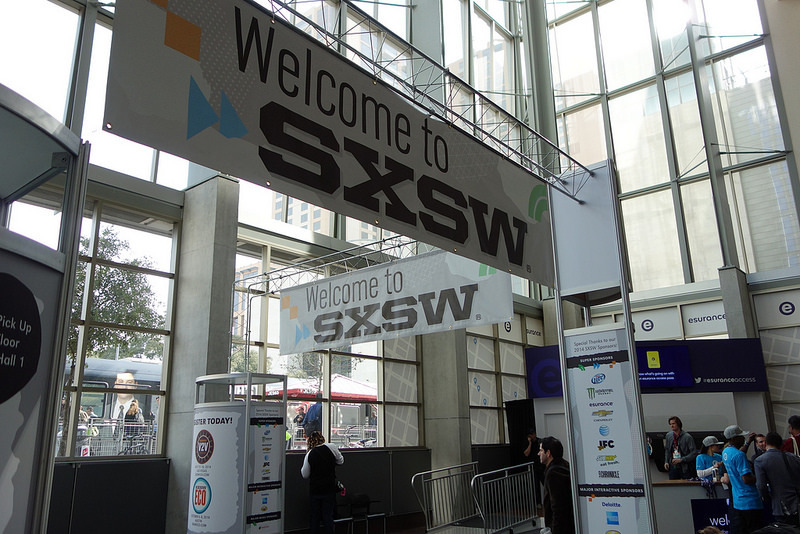 Take a look at these five insights from SXSW 2014 that could affect the way you do business. 1. Wearable smart devices are here to stay. While the Apple rumor-mill has been abuzz with iWatch speculation, Google has stepped to the plate with their announcement of a wearable tech SDK for Android, which developers will be able to tinker with in just two weeks. The details surrounding this announcement are extremely vague, since we don’t know what kinds of hardware the wearable SDK will highlight (Google Glass? Something else?) However, once the kit drops, it will be exciting to see how app, fashion, marketing, and gadget industries hit the ground running with wearable innovations. One thing is for certain, there is a value in wearing a smart device that these companies have acknowledged , and in turn, invested heavily to develop. If these wearable gadgets prove to give entrepreneurs the edge smart phones once did, your business just might need to adapt faster than you might think. 2. Online security issues will continue to affect businesses, small and large. New York-based marketing firm, The Barbarian Group, took a bold step by inviting Julian Assange to chat via satellite video with their co-founder, Benjamin Palmer. Assange took to the screen from London to criticize Western digital surveillance and answer questions directed toward him via Twitter. Assange wasn’t the only political dissident to make a digital appearance at SXSW – Edward Snowden also checked in via Google Hangout from Russia during a panel hosted by the American Civil Liberties Union. His criticism focused on current NSA operations and public accountability regarding digital privacy. The appearances of both Assange and Snowden affirmed to things – SXSW isn’t afraid to court controversy, and that online businesses have reason to be weary of future security issues. In fact, data hacks, especially amongst retailers, are forecasted to rise in 2014. Be sure to keep an eye on up-to-date security developments and stay ahead of the curve. 3. Business will soar during business travel . In late 2013, many travelers raised their eyebrows after learning that the FAA was dropping restrictions against the use of electronics while airborne. Airline Wi-Fi company Gogo is taking that freedom to a whole new level by revealing their newest online call service, which will allow travelers to chat with their friends, family, and business associates via a proprietary Gogo network. (Sorry if you’re a light sleeper.) The service also includes text messaging, so that your busy thumbs don’t even need to rest while you’re flying around the world. This means that if you’re traveling constantly for business purposes, you’ll still be able to take those critical phone calls. In a recent Mashable article, “Party all Night, Deal All Day: the Money Behind SXSW,” Joe Ciarallo of Salesforce commented on, “a whole economy and marketplace that isn’t being advertised.” When it comes to company visibility, he told Mashable, ” They may not have their logo on a sign, but they’re here.” Businesses have ample moments to connect with one another in the more social realm of SXSW, during the hundreds of musical performances and off-site parties hosted across the city. Your business might not fit in with the crowd at SXSW, but the point is simple – traditional forms of in-person networking are still extremely valuable and you should still be attending industry events just like it was 1999. The difference is, these events are changing to accommodate a new wave of entrepreneurs. That’s no surprise. 5. Social media continues to evolve and make or break businesses online. HootSuite delivered some great news for small and medium businesses: they will be releasing tools for comprehensive marketing budget management, so that organizations can have a bird’s eye view of where their funds are going across multiple social media platforms. Remember that great marketing strategy you developed during Social Media Bootcamp at creativeLIVE? It’s time to turn theory into practice, if you haven’t already, and start posting! Also, if you are looking for free or cheap ways to boost your social presence, it’s about time to take a look HootSuite.